Collisions between large trucks/commercial vehicles and regular passenger vehicles often result in serious injury and/or death. In addition to property damage, you may be stuck with hefty medical bills, lost wages and an injury that is permanently debilitating. If you have recently been injured in an accident involving a large truck/commercial vehicle, we can help. Determining liability is often the most important step in pursuing an injury claim against a truck driver or a commercial trucking company. 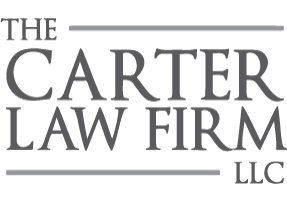 The dedicated attorneys at The Carter Law Firm, LLC have extensive experience in gathering evidence, interviewing witnesses, speaking with law enforcement officials and consulting experts. Lawyers affiliated with commercial trucking companies are dedicated to deflecting blame from their clients, which makes working alongside an experienced personal injury attorney paramount to obtaining the outcome you deserve. Keep in mind that any party found responsible for the truck accident can be held legally liable, and many personal injury cases have the potential to name several parties beyond the driver and her or his company. For example, it may be discovered that a specific part was faulty, or that the truck was improperly loaded. In this case, your suit may expand beyond the driver and/or the commercial trucking company. The Carter Law Firm, LLC has been defending Gardendale and Fultondale residents for more than three decades. If you’ve recently suffered an injury resulting from a trucking or commercial vehicle accident, call (205) 808-0002 now for a free consultation.